​Christine's catch of the day. 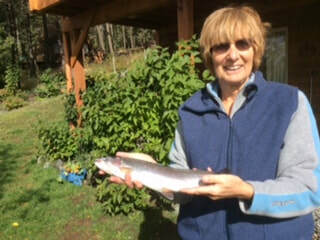 Christine with a beautiful rainbow. Unfortunately the loon took the others on her line! ​What other type of holiday is there? Show me once more how to fix this! 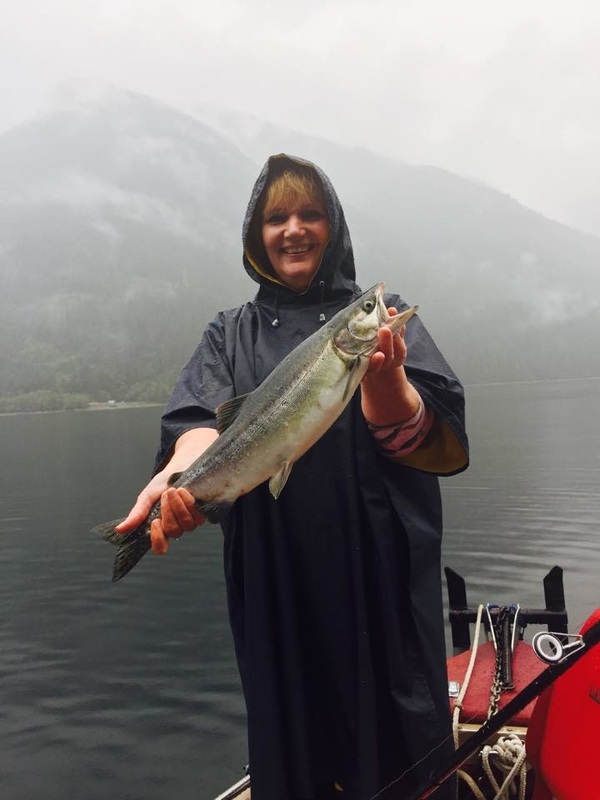 Linda who braved the elements with Carole on a wet August day 2015 caught four pinks including this 20" one! Chum on the Harrison River. day outside with such good friends! 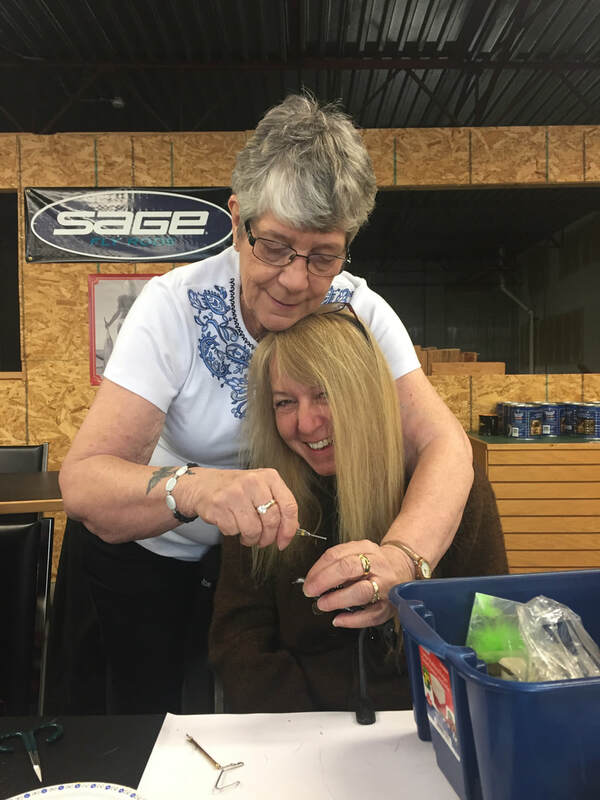 Barb Courteen-Nurse with her hero and fly-fishing queen, April Vokey. Carole with her 35 lb. Kingfish she caught in Barbados! A few of us made it to the 2nd Annual Abbotsford Fish Hatchery tournament. There were a few of us that made it: Cindy, Cheryl, Jessica, Carole, Marj, Marion, Patty, & Dianne (8, photo below). The weather cooperated (no rain) and it might have been a little too warm for the fish, as many of us did not do as well as last year. 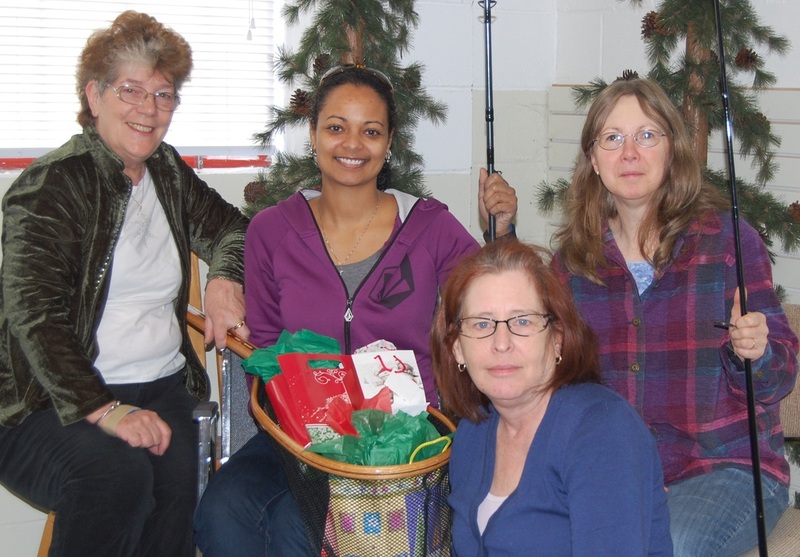 Jacqueline, Carole, and Marj welcome Jessica to the West Coast Fish N' Chicks Christmas Brunch on December 8, 2012. Our Christmas wish: Tight Lines, Healthy Streams, and New Adventures! Fish `n Hen Sue Adams & her chick with grandmother's rod & soon to be breaky at Surrey Lake. 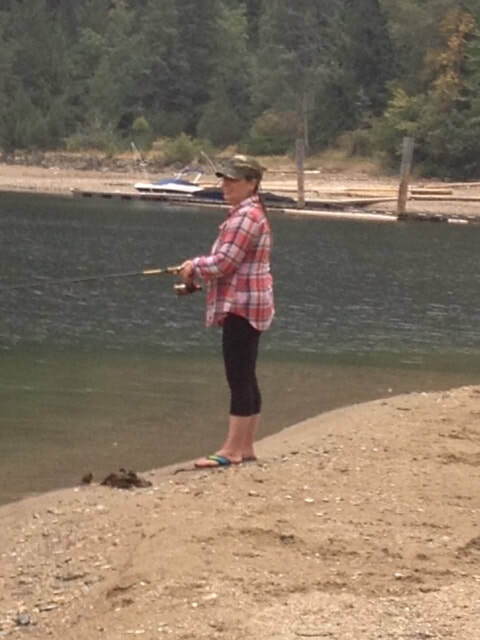 Yvonne Dean attends `Divas on the Fly` on Vancouver Island. 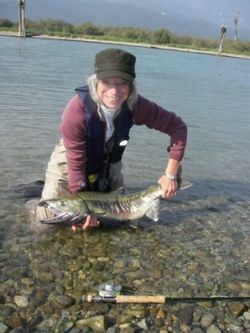 DOTF is a program dedicated to getting breast cancer survivors together for a weekend of fun and fly fishing. The five survivors are shown here with the volunteers responsible for coordinating the event. 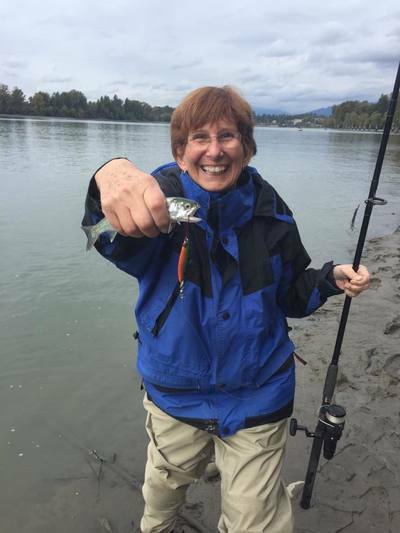 Sue with a catch & release white sturgeon - 58"!!! Barb at Canim Lake in her new Angling Kayak. In Barb's words. " it is sooo awesome! P.S I won first place in our Derby for the biggest fish, I caught a 4lb Kokanee! I was so excited!" Yay Barb!